From February 6th through the 23rd, Sochi, Russia will transform into world of winter sports. While the top athletes in the universe are lacing up their skates and warming up their ski jumps, we’ll be earning our gold medal in party-throwing! You can too: check out all of these fantastic ideas for a Winter Olympics celebration! Decorating your space for the Olympic Games is simple! Deck your venue in the colors of your favorite country. 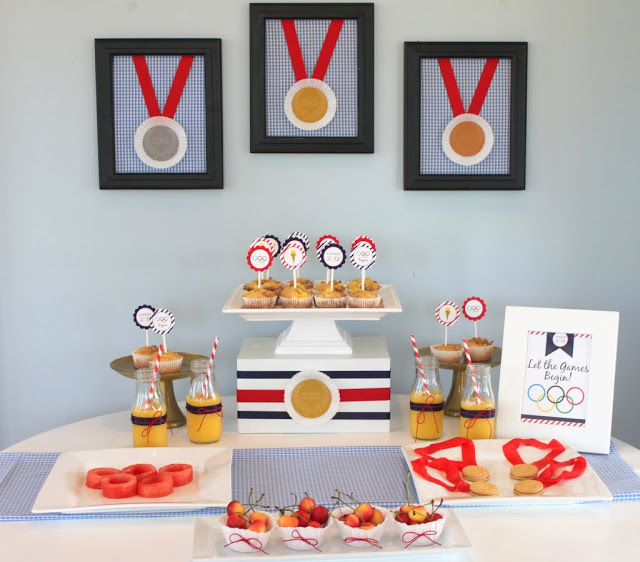 Check out the above dessert table from Mirabelle Creations, inspired by Team USA's uniforms! 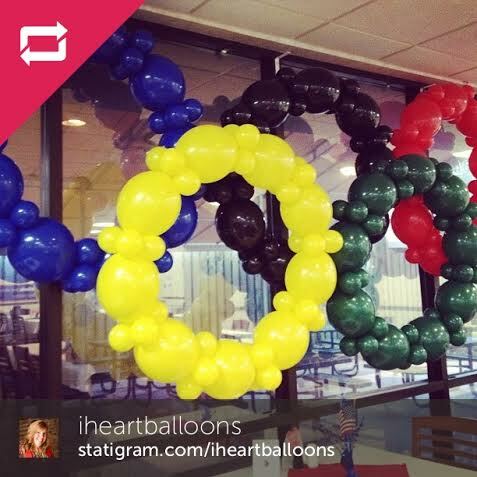 Next, add bunches of balloons in the colors of the Olympic rings (blue, yellow, black, green and red). You can even take it a step further and hire a balloon twister to create awesome Olympic-themed sculptures! Take a look at the amazing creation above, from Instagram user IHeartBalloons. Don't forget to incorporate international details, like this flag pennant banner from Party City. It's easy to turn every-day treats into Olympic eats. 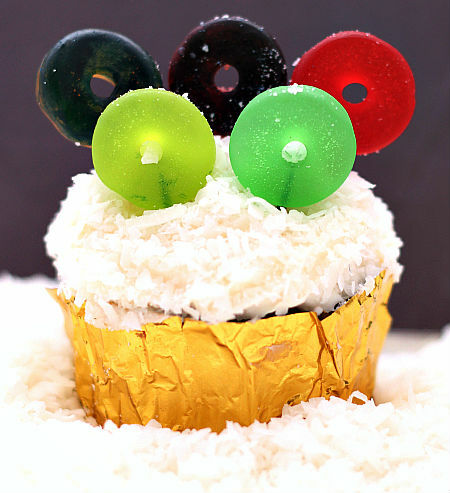 We love these cupcakes from UncommonDesignsOnline.com, topped with coconut "snow" and candy rings! You can even opt for traditional Sochi sides, like this Olivier (potato salad) recipe from Food Network. 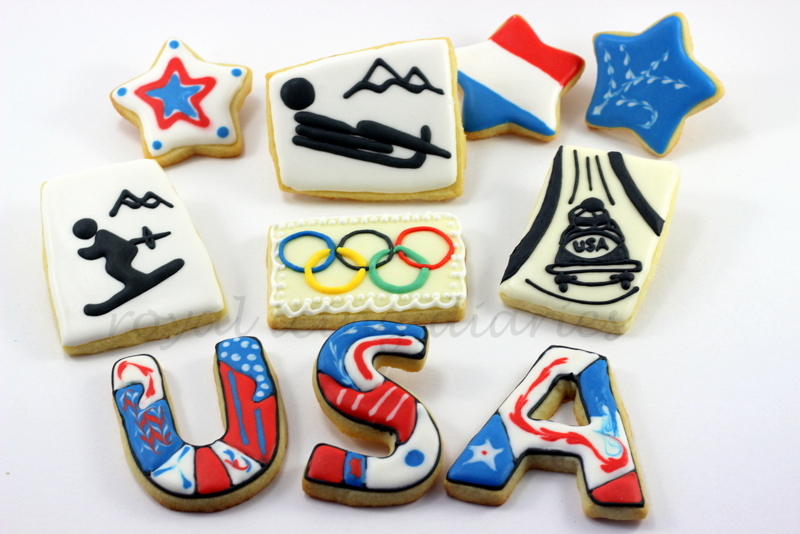 If you're feeling creative, try your hand at these Olympic-themed sugar cookies from Royal Icing Diaries. Since the 2014 games are being hosted in Russia, it’s practically required that you add White Russians to the drink menu! Here’s a recipe for the classic cocktail from TheBar.com. Another drink sure to impress the judges is this Olympic Ring martini! Use Lifesaver candies to create mini-olympics rings. 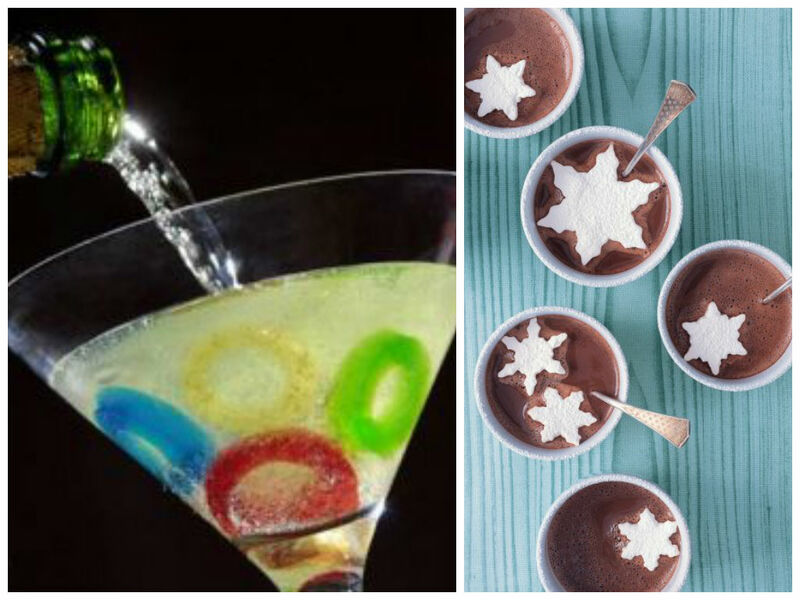 For a liquor-free option, whip up some hot chocolate topped with these awesome marshmallow snowflakes from Martha Stewart. No matter who you're rooting for, all of these ideas are sure to be winners! So cook up, kick back and enjoy the 2014 Olympic Games! Looking to host a different theme party? You can find party theme ideas from The Bash.